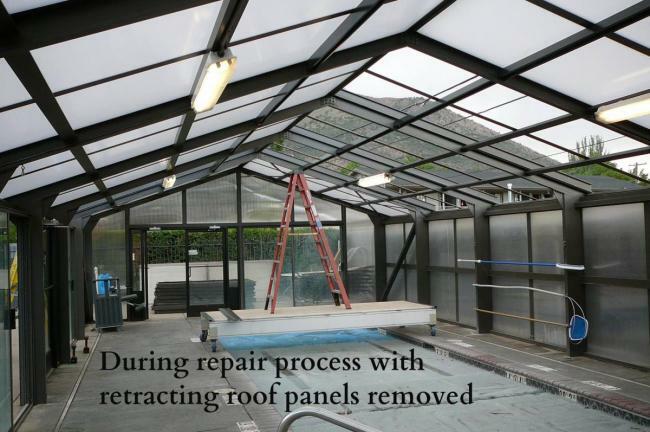 Pool enclosure roof repair and replacement for older polycarbonate or fiberglass roof structures not manufactured by PEI. The images below show before, during and after photos of a commercial pool enclosure roof placement for a Best Western hotel. 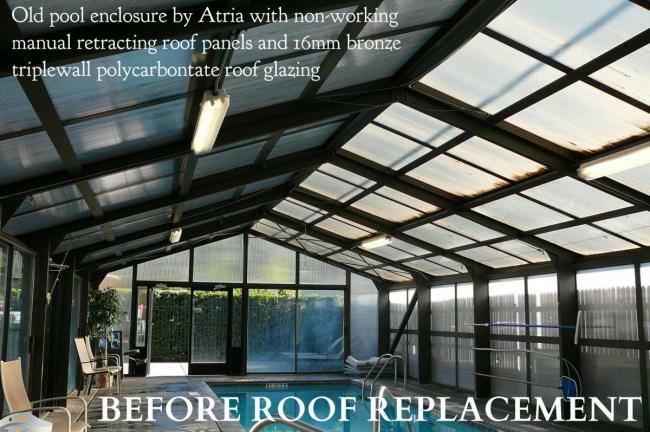 The 25 year old enclosure manufactured by Atria (not PEI) shows 16mm bronze triplewall polycarbonate that had hail damage with mold and dirt between the layers of the panels. 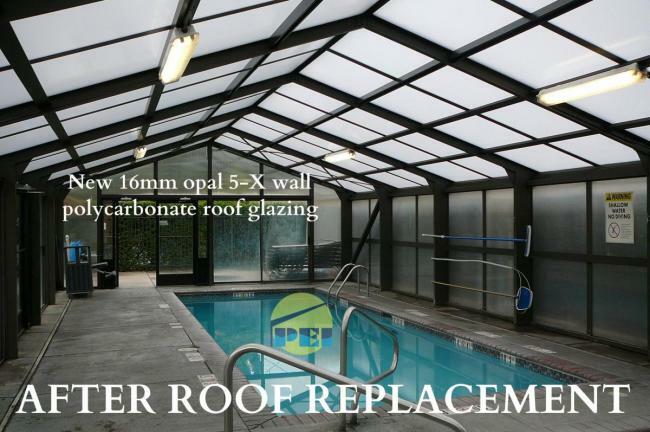 PEI removed the manual rope operated retracting roof panels that were no longer working and the fixed panels and installed "Next Generation" 16mm 5-wall opal polycarbonate with an X-pattern for extra strength. Three days after completion of the project located in Flagstaff, AZ. a hail storm with quarter sized hail occured with no damage. The polycarbonate sheets have a U.V. protective coating extruded into the top and bottom layers and comes with a 10 year limited warranty. The roof also has a heat reducing quality as well.